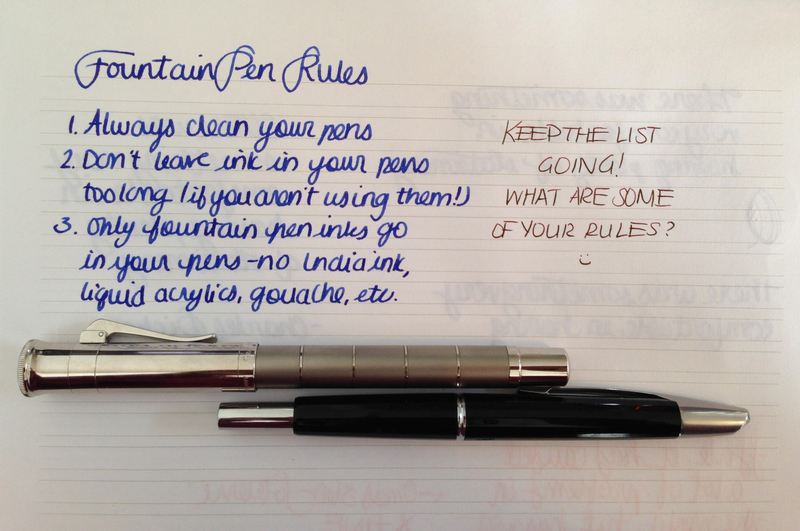 It sounds a bit crazy to have rules with fountain pens. They’re not really rules. They’re just things I like to remember, and things I suggest to people who ask me what they should do as they venture down the rabbit hole. Although not putting India ink in your fountain pen should be a rule. Do you have any fountain pen rules, or things you like to stick to? Be obsessive about cleaning your pens. The bladder, piston-filler chamber, or converter should be entirely clear. The water should be tint free. Soaking nibs overnight is sometimes required.